save money and time with your equipment choices. 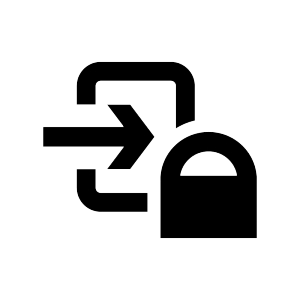 THIS COURSE COVERS ALL THE BEGINNER NEEDS TO GET STARTED. If you are just thinking about getting into the sport, we will explain it all to you and help you achieve the amazing feeling of hitting targets out so far they are hard to see with your eyes alone. For those that have already achieved some success, we will help you dig into the details that will help you be more consistent, and to understand areas that might affect your ability to make long range hits every time, no matter the conditions. In the First Volume of the Ultimate Guide to Long Range Precision Shooting And Hunting we help you save money and time with your equipment choices. You will learn how to maintain your equipment and to start building your DOPE and ballistic tables. It explains the terminology and units of measurement (like MOA and MIL) along with details about ammunition and equipment to suit your mission. 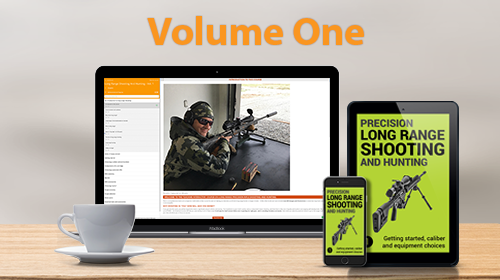 Volume One is ideal to get started in the sport of long Range Shooting. LONG RANGE SHOOTING is explained from the GROUND up. THIS COURSE IS DESIGNED TO TAKE SOMEONE NEW TO THE SPORT THROUGH ALL THE BASICS TO GET STARTED. WE COVER OFF ALL THE BURNING QUESTIONS PEOPLE HAVE WHEN LEARNING LONG RANGE SHOOTING. What is long range shooting and how do I "ring" steel at 1000 yards? How to choose the right caliber, rifle and associated gear I need to get started? Advice on buying a scope and precision rifle, including detailed discussion on the options and accessories. Details on the anatomy of optics, rifles, ammunition and how to use that to buy the right long range setup. Explanation and use of MOA and MILs/MRAD systems. How to set up and use the equipment needed for long range. The key differences between "regular" shooting and long range shooting. All the jargon and tools used in long range so when you go to the range or a course you will understand the complex set of things you need to know. The fundamental knowledge underlying how to build out a precision setup, such as the right caliber and associated twist rates, barrel and stock. Once you have a rifle, how best to match that to optics good enough to allow for your application. Putting together a package that helps you get started within your budget and requirements.